A website is a set of related web pages served from a single web domain. A website is hosted on at least one web server, accessible via a network such as the Internet or a private local area network through an Internet address known as a Uniform resource locator (URL). All publicly accessible websites collectively constitute the World Wide Web. Your Competition Has a Website: If you are in direct competition with another business that has a Website, they have a clear advantage – especially if they are adequately marketing their Website. Improve Your Customer Service: A Website makes it possible to provide instantly viewable information and even downloadable content. You can provide frequently asked questions for your site visitors to look up their question and instantly read the answer. Not only does this satisfy your customers, but it can provide a reference for your customer support staff. A Website is a great place to gain feedback from your customers and prospective clients. You can use surveys and forms that allow your site visitors to respond to questions you ask, enabling you to get valuable marketing information from your customers. Depending on your company’s products or services, you may also be able to provide downloadable technical manuals, user guides, or instructions. This provides value to your customers and can even eliminate the need for many people to call your customer service line. People Will Look for You Online: Sooner or later, someone’s going to type your name or business into a search engine. What do you want them to find? Nothing, or worse yet, your competition. These are people who want to find you. They are looking for what you are selling, and if you don’t have a Website then you’re letting them down – they expect to find you online. For many people, you might as well not exist if you can’t be found with a search engine. 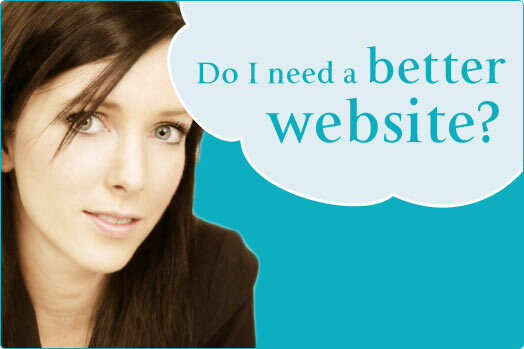 Not having a Website is like not bothering to get listed in the phone book. Can you run your business without a phone? In this “Information Age” we live in being online is vital. Websites are Great Advertising: Whatever you’re advertising – services, products or just yourself – a Website is a great way to do it. Every other kind of advertising going costs a premium, especially if you want to target a specific kind of person, and there’s no guarantee that they’re paying attention. Websites are like brochures that are free to reproduce, interactive, and quickly distributed to people who are already looking for them. No advertising medium even comes close to the ease-of-use and effectiveness of a Website. You’re Open 24/7: A Website will allow your business or organization to be open 24/7 (24 hours a day, seven days a week).. Many people surf the Web in the evening when most businesses are closed. But if you have a Website they can find, you are just as good as open. Is your competition open 24 hours a day, seven days a week? The world is your oyster – especially with a Website, which allows your communication with audiences worldwide (as long as you both understand the same language). Geographical locations or time zones are no longer a problem with the 24/7 availability of a Website. 217 Million People: That’s a lot of people. In fact, it is the number of Americans that regularly use the Internet. Of those, 43.7 million use broadband. Worldwide Internet usage is one billion. On the Web, it doesn’t matter whether someone is next door to you or on the other side of the world, they can see your Website just the same as anyone else can, and it doesn’t cost you or them any extra. Phone and mailings both cost enormous amounts long-distance, but your Website lets you send information anywhere without any extra effort or expense. You can make friends and contacts in places you’ve never been and will never go – suddenly, working globally is no more effort than working locally. Passive Income Opportunities: With a Website, you can create an online store which allows customers to place orders and pay for their selections all via the internet. This all happens without your involvement once the Website is designed and online, which classifies it as passive income. Your Website can act exactly like a catalog, and contain photographs and descriptions of products- or it can be more advanced and make use of some of the emerging technologies- including audio and video to fully demonstrate your products and services. Deliver Significant Information and Improve Communication: More than ever before, people are turning away from traditional means of finding information and looking online. Yellow pages, directories, and printed materials are being used less. Brochures and flyers only allow for a few lines of communication. A carefully crafted Website can guide your clients, suppliers or employees through page after page of information. Another advantage is that you can add audio and video to these pages – something that paper communication tools cannot offer. Share Basic Business Information: People use the Internet often trying to find quick answers to basic questions. What are your opening hours? Do you offer payment plans? What is your phone number or email address? These are the days of “Inquiry Marketing”; so get a Website if you do not already have one, and make sure that people can actually find it in the search engines and directories. Affordable and Expandable Marketing: When you compare the price of a Website to the expense of creating and distributing more traditional forms of marketing materials, like newspapers, direct mail campaigns and magazine ads- the cost of setting up and maintaining a Website is nominal. One of the best features of a Website is that you can quickly and easily change information as it changes within your business. Unlike printed materials that need to be revised and then reprinted at cost; a Website allows you to change or add products and services as often as you wish in just a few steps. There is potential for free advertising when other Websites and blogs link to you. Also, when a Website is designed well, when people type in related search terms into a search engine, your Website will come up in the listings for free and allow a prospective customer to find your Website.